Hornby number two Simon Kohler takes on two of his biggest rivals in a dramatic showdown. Meanwhile, the company hires its first female product designer. 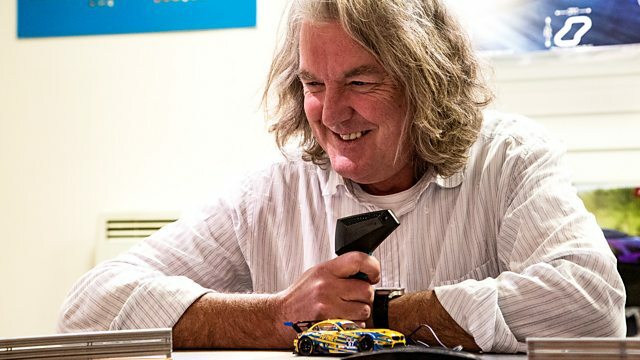 The concluding episode of the series, introduced and narrated by model train enthusiast James May, follows Hornby’s new management team in a desperate attempt to save the company. In this episode Ken, head of audio development, is sent on a top-secret mission to capture the sound of a steam locomotive for its potential use in a brand new model. Simon Kohler, Hornby’s number two, tries to rejuvenate the tired Scalextric brand name with a flashy new advert, but there is a problem: with the company strapped for cash, the budget is miniscule and it will have to be made entirely with in-house staff. Meanwhile, the company takes on its first female product designer, Caitlin Williams. Fresh out of university, Caitlin is put on the Scalextric design team and we go behind the scenes to see what it takes to produce her first car. In the climactic finale, we see Simon take on two of his biggest rivals as Hornby’s 2019 range includes two products that have the competitors fuming, leading to a dramatic showdown.